Open day to present the Ecovillage project A Pedali in the heart of country side in the centre of Italy. Daniele and Laura invite anybody to join in discovering the project, sharing information, knowledge and experience and to talk about the ecovillage’s activities. 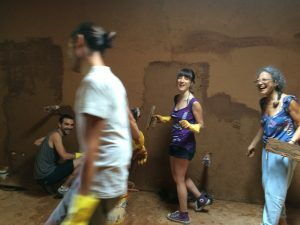 They are currently refurbishing the house with natural building techniques and during the event it will be also possible to visit the site.